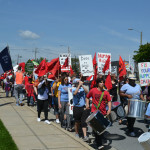 Farmworkers and their supporters turned out in full force on May 9 at the Reynolds American 2013 Shareholders Meeting. 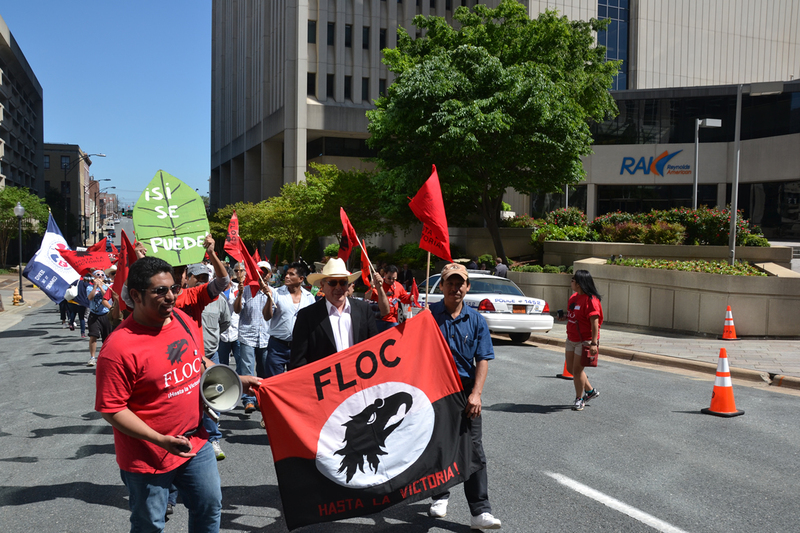 At one of the largest and most energetic events since the beginning of the campaign, over 300 people including labor, clergy, students, and community allies rallied and marched through the city calling on Reynolds to do more than just talk with FLOC. Over 40 allies went inside the meeting that morning, armed with points of order and questions to keep the meeting’s focus on farmworker issues. Reynolds executives were clearly rattled by the large presence and persistent questions, and fumbled over important questions such as how they planned to ensure that human trafficking did not exist in their supply chain. 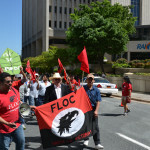 In an interview with the Winston Salem Journal following the meeting, Reynolds said they were taking steps to improve conditions on farms, including participating in multi-lateral talks with a variety of stakeholders, talking directly with FLOC, and partnering with Telamon, an agency which provides grants to farmers to improve migrant housing. But we won’t let Reynolds just throw some money at the problem. 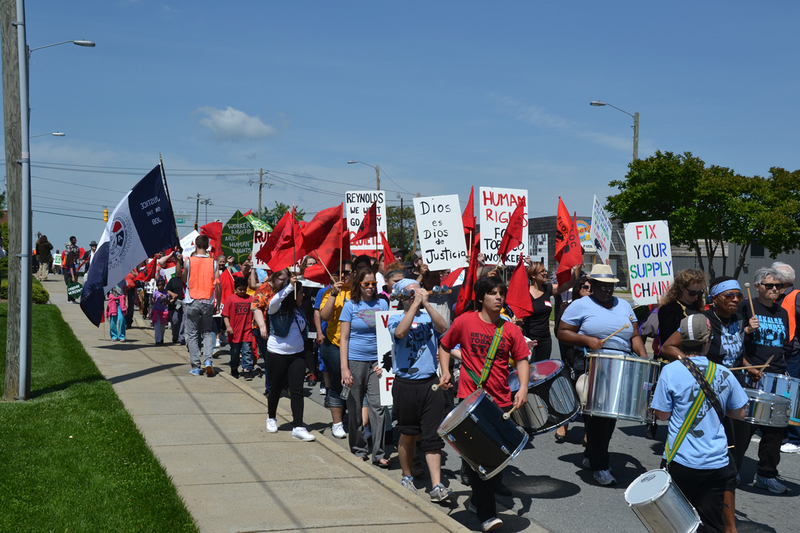 Farmworkers don’t need charity, they need fair pay and fair work conditions. 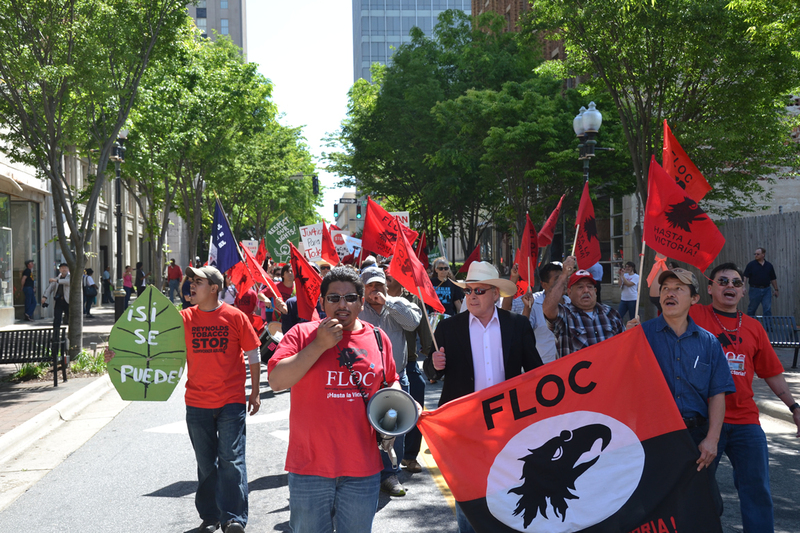 Reynolds executives committed to meeting with FLOC President Baldemar Velasquez on May 23rd. The Campaign for freedom of association and collective bargaining rights in the tobacco supply chain will continue until an agreement is signed and we will let our allies know about developments and next steps. Thanks to all who came out to support and those who were there in spirit. Hasta la victoria!